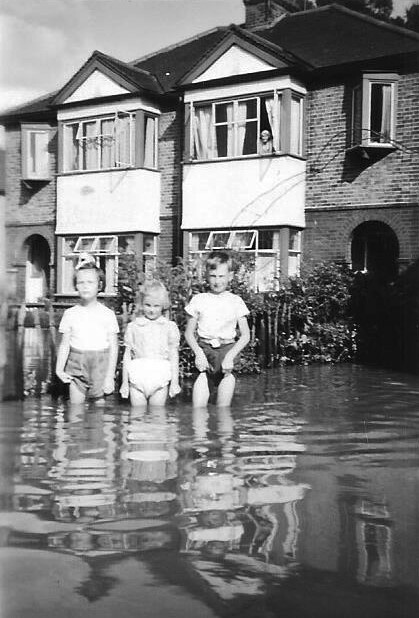 You are here: HomenextTopicsnextWickford's Floods and StormsnextPhotographs of the 1958 Wickford Flood. Personal photographs of John Potton's family. 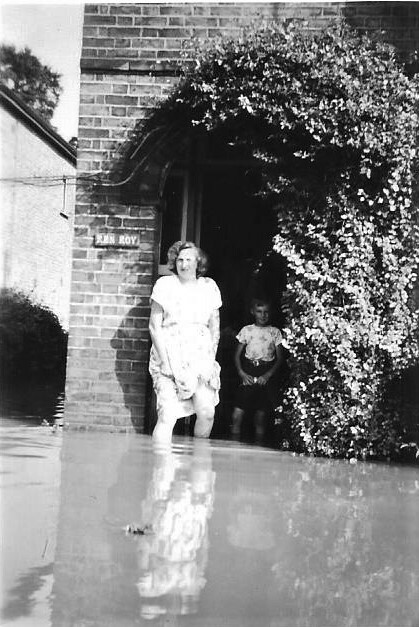 John Potton, one of Wickford’s long time residents, came to the Archive and brought these personal photographs of the flood around his home on Runwell Road. These show the flood level on the morning after the heavy rain, lower than the level of the previous evening. 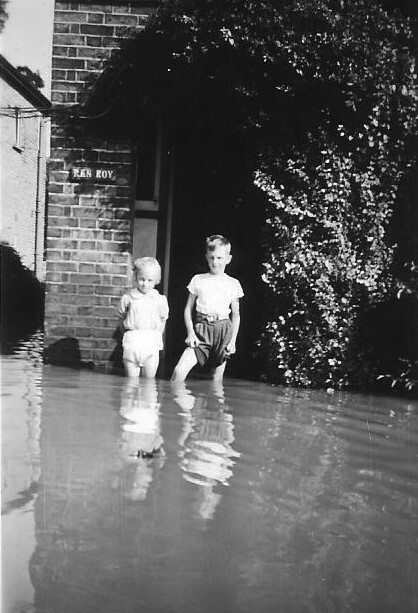 John (right) with his sister, Jennifer, standing next to him, and a friend from an adjoining house. John's mother by the front door of their house. 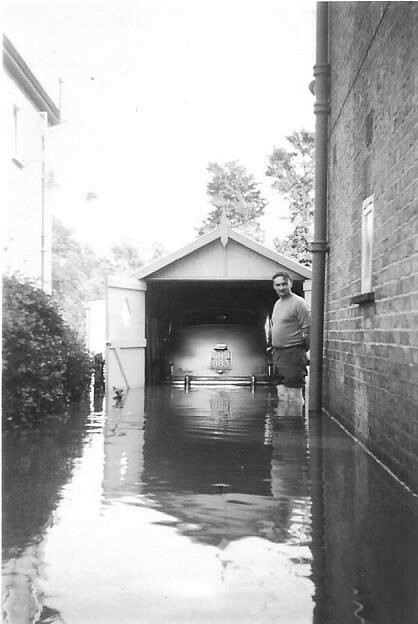 John's father at the side of the house, with the Standard Vanguard in the garage. Was that a high water mark of the flood just below the window?